Hitchin Forum was formed in 1992 as a non-political umbrella to bring together people and organisations who wanted to maintain and enhance Hitchin’s special character. 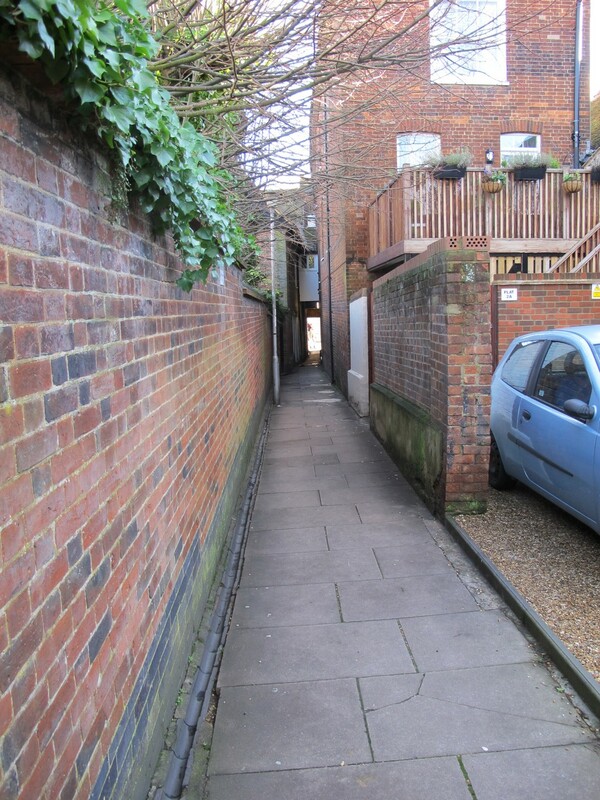 It enables the views of people who live and work in Hitchin to be presented in a co-ordinated manner to relevant bodies. Part of the inspiration was from a development plan which would have obliterated West Alley, which had existed for the past 1000 years. 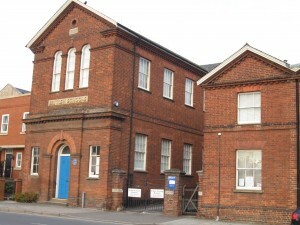 At the same time there was a danger that Hitchin British Schools – a Lancasterian establishment founded in 1810 and comprising several 19th century buildings – could be bought and demolished. The question was asked “who speaks for Hitchin?”. The local Quaker meeting decided to start the organization. Hitchin Forum was set up to speak for those interested in and wanting to sustain the unique character of the town. Amongst its early activities the Forum designed and organized the choosing of a town symbol – the choices being between designs incorporating straw plaits, wool trading (the Calais Staple) and brewing grains. However the symbol of St Marys Church with the river frontage became the accepted and now widely used symbol. HF also became involved in the setting up of Hitchin Town Centre Initiative and the appointment of its first Town Centre Manager. That has evolved into Hitchin Initiative, which in turn has applied for and been successful in attracting the award of a Business Improvement District, with all of the funds that generates for the town. A joint project with HTCI and NHDC was the 1995 Hitchin Mini Guide. HF has campaigned over many developments, though not winning every battle. It has sought to work with Hitchin Councillors and with the District Council, though inevitably we have been most vociferous when we have disagreed with the Council and felt that important issues had been ignored or minimized. The way that companies have sought to demolish and build has been scrutinized carefully, knowing that profit rather than heritage may have been at the top of their agendas. HF worked closely with the Campaign Against Stevenage Expansion to prevent the building of 10,000 houses west of Stevenage, something proposed by Herts County Council, supported by Stevenage Borough Council and opposed by North Herts District Council, which was seemingly successful, but the threat has reemerged with draft housing proposals in NHDC’s Local Plan consultation on housing numbers. The campaign included some monkeys and 5oo pounds of bananas turning up outside John Prescott’s office when he was the minister responsible for housing. He had urged councils to build on brown field sites, whilst Herts County Council was supporting building on green belt. 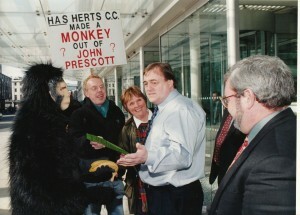 Hence the slogan – Has Herts CC made a monkey out of John Prescott? 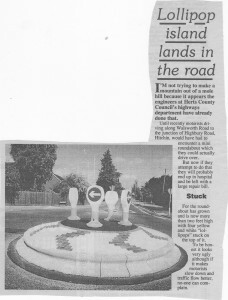 One of the early and smaller campaigns was over the refurbishment of a roundabout in Walsworth Road by the County Council. 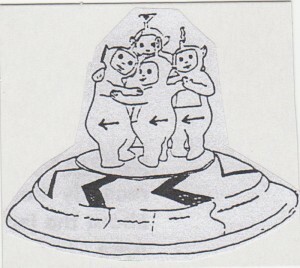 An ugly and dysfunctional emplacement was labelled the ‘teletubbies roundabout’, and was eventually changed. Other notable campaigns have included the trying to save Caldicott Youth Centre (now demolished) and the opposing the extension of the Churchgate contract with Simons (terminated in March 2013).